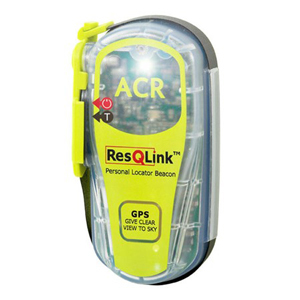 ACR ResQlink Personal Locator Beacon. PLB? EPIRB? Maybe you're not sure what it's called, but you're after something that you can set off in an emergency situation, so that emergency services can find you. At Bogong Equipment, we stock PLBs – Personal Locator Beacons. To help you understand what PLBs are and how they work, we've put together this article to answer common questions. See our range of GPS and rescue products. What's the difference between a PLB and an EPIRB? PLB stands for Personal Locator Beacon. EPIRB stands for Emergency Position Indicating Radio Beacon. 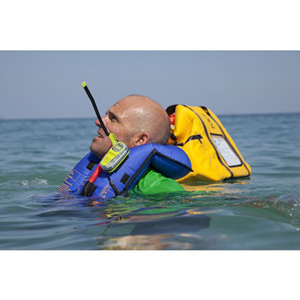 The main difference between a PLB and an EPIRB is that a PLB is registered to a person; whereas an EPIRB is registered to a vessel (such as a boat, or other seacraft). For bushwalkers, wilderness walkers, sea kayakers, climbers – generally, anyone who might walk into Bogong Equipment – a PLB is more relevant to you. When you register your PLB, you'll provide your personal information, beacon details, emergency contacts and details about the trips you're most likely to use your PLB on. If you've bought a PLB for a specific trip, you can provide specific details about that particular trip. When would I set my PLB off? In a life-threatening emergency where you don’t have any other way of getting help. Mobile phone, satellite phone, two-way radio or sending some group members for help are all preferred options, because they give the rescuers much more information about the situation. A PLB is useful as a last resort. It might be that you're three days into a seven-day bushwalk in remote wilderness, and someone's broken their leg and cannot walk. Perhaps it's also winter, there's not much shelter between camps, and hypothermia is a major risk. Or, perhaps you're climbing on an obscure cliff, and your climbing partner has an accident and you're stranded on the cliff face. Maybe, you're far out at sea and there's something wrong with your kayak that prevents you from getting safely back to land. Please note: In Australia, there are significant financial penalties for activating a rescue beacon frivolously or for a trivial problem. Currently, search and rescue in Australia is a free service. Don't abuse this privilege. In many countries around the world, including continental Europe, you will be charged a fee for a rescue. What happens when I set my PLB off? Once you activate your PLB, it transmits a distress frequency alarm signal. This signal is received by a satellite, which is part of an international search and rescue satellite system. Once this system receives your signal, it notifies your nearest ground station. Then, steps are taken to notify your region's rescue co-ordination centre. This centre then puts in motion search and rescue operations. At this stage, the information you provided when you registered the beacon becomes critical. Authorities can reach out to your emergency contacts to gather more information on your likely situation. Honing in on the beacon helps emergency services to locate you. Is it easy to turn a PLB on? Each PLB model has its own steps for activation. 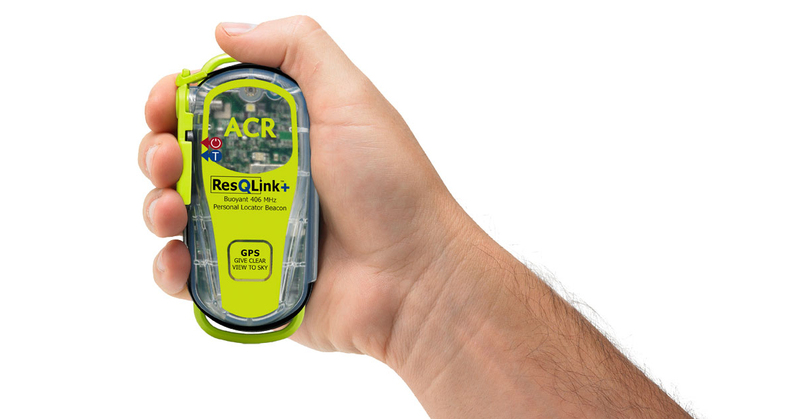 In the case of the ACR Resqlink+, there are two steps: 1) Deploy the antenna; 2) press the ON button. A flashing light on the PLB indicates that your signal is being emitted. Is the signal affected by trees and cliffs? For the best signal, it's recommended that you point the antenna, unobstructed, toward the sky. The clearer the access to the sky, the better; but obviously this may be compromised in a live situation. The beacon will work through a forest canopy – depending on its density (however, you'll have no way of knowing whether or not the signal is getting out). If you are beside or on a cliff face, be aware that half of the sky is obscured – but, even in this situation, a signal should get out. If you’re in a cave or a deep gorge, the PLB is unlikely to get a signal out at all. If there is anyone in your party who is not 100% immobilised, that person should move to a location where the PLB has a clear view of the sky. How long does the signal last? Again, each PLB model is different. However, currently the requirement by law is a minimum of 24 hours. How long does it take emergency services to reach you after you've set off a PLB? How long is a piece of string? It depends on the situation: how remote you are, how difficult it is to access you – are you on a cliff face? A mountainside? The ocean? It's worth noting that, generally, it takes a long time for search and rescue services to reach you – even if they have a lot of information about your situation. Notifying the appropriate services, organising volunteers, the logistics of getting rescuers to you... these things take time. What's the difference between a PLB and a GPS device? Both a PLB and GPS device use satellites. 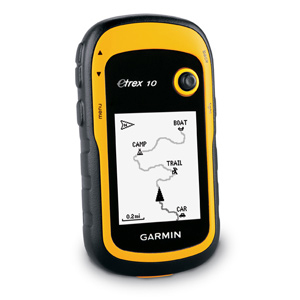 However, a PLB sends out a distress signal; whereas a GPS device (such as the Garmin eTrex 10) cannot communicate with the outside world. It is used for determining your location and geocaching. However, bear in mind that modern PLBs (such as the ACR Resqlink+) have a GPS on board that provides an encoded GPS location along with the emergency signal. Why should I use a PLB instead of another device? A PLB is a single-purpose unit. It is designed to send out a distress signal when things go wrong. It is a sealed unit with an inbuilt battery that is guaranteed to last for a minimum of five years (if the unit is not activated). As such, it will work when it is needed. There are a variety of other devices that you could be use to contact the outside world: mobile phones, satellite phones or a device called a SPOT. All of these devices share one main problem: they rely on batteries that constantly need to be replenished. This means, there's a chance these devices may not work when you need them most. Mobile phones have the additional problem that they require access to the mobile network – which is problematic at best in wilderness situations. If you really need to alert the rescue services, you will be very pleased to have a PLB. It gives you your best chance.